The Diagnostic Automation,Inc. 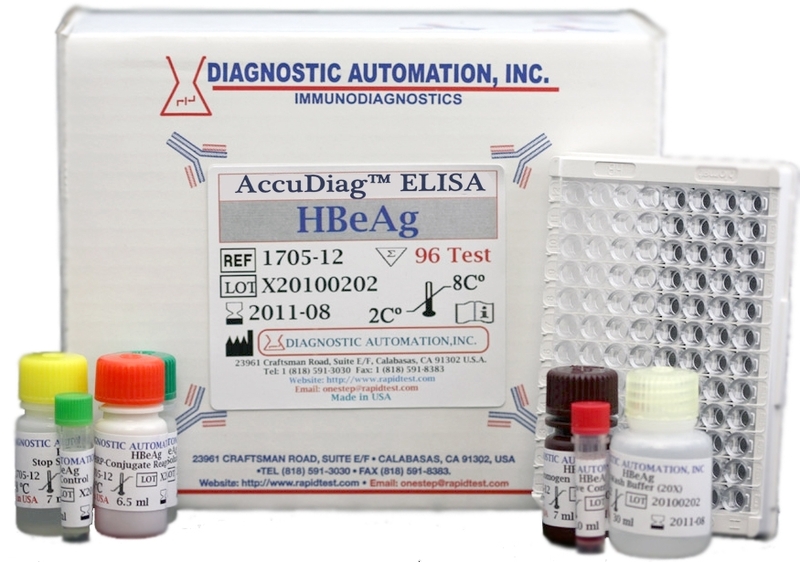 Epstein Barr Virus Early Antigen (EBV-EA-D) IgM Enzyme-linked Immunosorbent Assay (ELISA), is intended for the detection of IgM antibody to Epstein Barr Virus Nuclear Antigen-1 in human sera and plasma. Detection of the Epstein-Barr virus was first described in 1964 by Epstein, Achong, and Barr using electron microscopic studies of cultured lymphoblasts derived from patients with Burkittâ€™s lymphoma1. 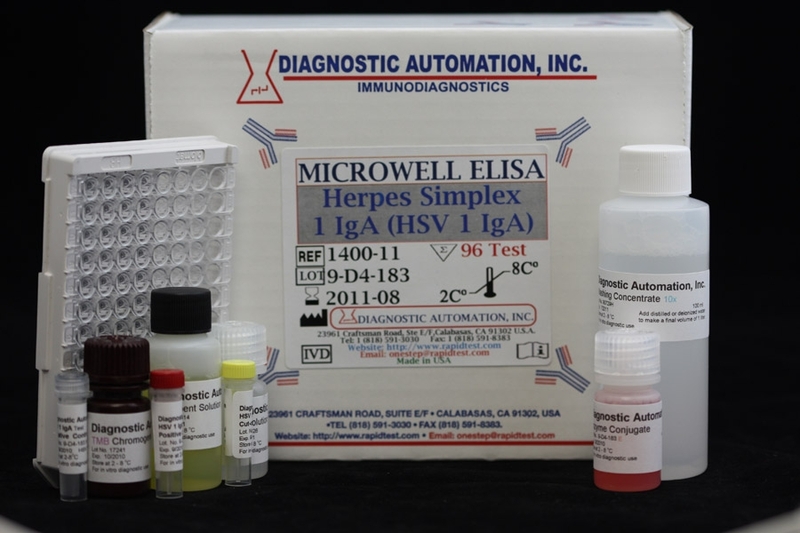 EBV is classified as a member of the herpes-virus family based upon itâ€™s characteristic morphology2,3. EBV infection may demonstrate a wide spectrum of clinical symptoms. The majority of primary EBV infections are transmitted via saliva, occur during childhood, and are subclinical. 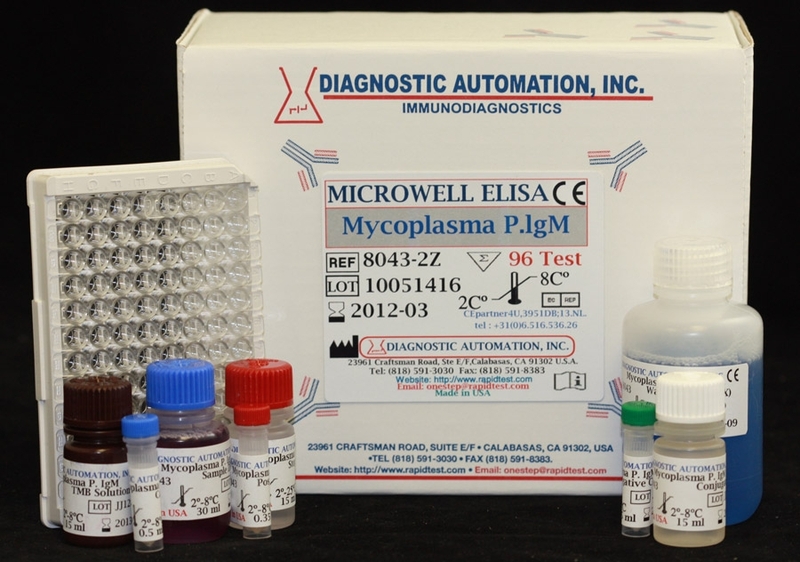 Antibody titers to specific EBV antigens correlate with different stages of IM. Both IgM and IgG antibodies to the viral capsid antigen (VCA) peak 3 to 4 weeks after primary EBV infection. IgM anti-VCA declines rapidly and is usually undetectable after 12 weeks. IgG anti-VCA titers decline slowly after peaking but last indefinitely. Antibodies to EBV nuclear antigen (EBNA) detected by anticomplement immunofluorescence develop from 1 month to 6 months after infection; and, like anti-VCA, persist indefinitely6. Antibodies to EBNA indicate that the EBV infection was not recent. 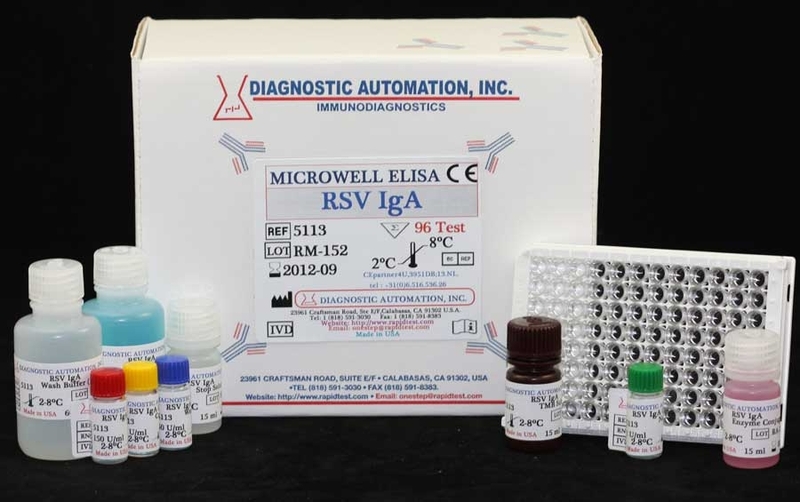 EBV early antigen (EA) consists of two components; diffuse (D), and restricted (R). The terms D and R reflect the different patterns of immunofluorescence staining exhibited by the two components. Antibodies to EA may appear transiently for up to three months or longer during the acute phase of IM in 85% of patients7. The antibody response to EA in IM patients is usually to the D component, whereas silent seroconversion to EBV in children may produce antibodies to the R components. A definitive diagnosis of primary EBV infection can be made with 95% of acute phase sera based on antibody titers to VCA, EBNA, and EA7.